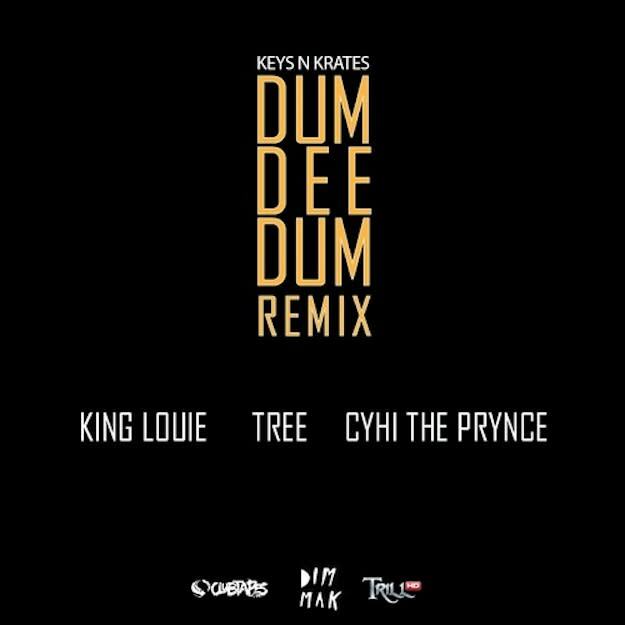 Keys N Krates ft. King Louie, Tree, & Cyhi Da Prince - "Dum Dee Dum (Remix)"
When we talk about the intersection of electronic music and hip-hop, we&apos;re not just talking about crazy trap remixes or even 2 Chainz getting a new paint job. Not that stuff isn&apos;t either crazy enjoyable or source for amusement, but a beat such as Keys N Krates&apos; knocking and hypnotic "Dum Dee Dum." A beat so fresh it could stand on it&apos;s own, but even better for two Chicagoan and ATLien rappers to rip apart. Amongst the crew, drill master sergeant King Louie, criminally unrecognized Tree, and G.O.O.D. Music player Cyhi The Prince. The result is one grimey bass beast.